Have you lost VCR Control or are you unable to establish it? 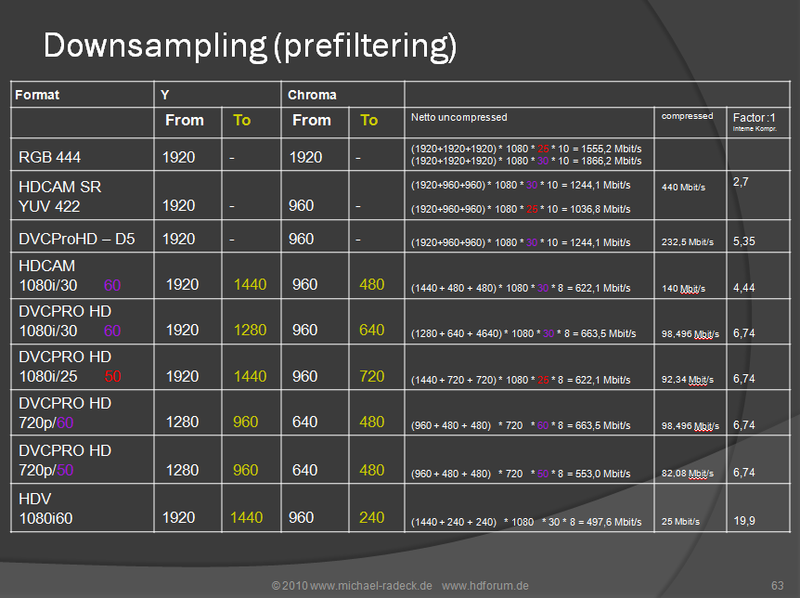 You have to load overcranked Varicam via firewire for any NLE to interpret the Varicam flags. The Frame Rate Converter is not realtime. Run the footage through Panasonic's Frame Rate Convertor and spit out true 23.98 footage on a new tape (which now becomes your camera original). Change the settings in the 1200 deck to be 24/25 fps and up convert to 1080p and capture into the DS from the deck in a 1080p 23.98fps project. Bogdan Grigoresco notes that many of the settings for the AJHD 1200 will flash and the actual setting will not change until you power cycle the VCR to make them take effect. Go to "00 - System"
Select setting "25 - System Freq"
Cycle the power of the deck. The Panasonic AJHD 1700 is unable to record @23.98. The 1700 only records 59.94 (720p frames or 1080i fields). It is able to record at 50 frames or fields per second. Problem: cannot lay to tape (with corresponding TC) without jamming code from another deck. Code is set to internal and nothing is patched. Yet at the cue point it jumps to another code and that particular code is inconsistent. Check the timecode convert menu on the deck to see if the remote TC is spitting out the incorrect frame rate. Make sure that you turn off conversion options. i.e. 24-30, 24-25 ... etc. Make sure that the "TC SYNC" point is not set to something weird. Use the button in the middle of the four curser arrows to get to the timecode. Hit it TWICE. Use SR if possible, then D5. HDCAM if you must. HDCam SR single-link is 4:2:2. HDCAM is 4:2:2 8-bit and 4 channels of audio. SR can be either 4:2:2 or 4:4:4 and supports up to 12 channels of audio. You can't put more than 4 channels on an HDCam tape. You can put either 4:2:2 or 4:4:4 (8 or 10 bit) and up to 12 channels on an SR tape. You can play an HDCam tape in an SR deck, but you can't play SR in an HDCam machine. Before carrying out this operation, consult the person responsible for system installation. When the unit is used in 50i, 25PsF mode, analog tape can only be played back in the simple playback mode. When this unit is put into 24PsF or 23.98PsF SDI (D1), component and composite signals are not output. 1. Perform steps 1 to 3 in the procedure described in the section "To change the settings of menu items without sub-items on page 10-3 to set menu item 013 SYSTEM FREQUENCY SELECT to ON. The menu display changes to allow switching of the system frequency between 59.94i, 50i, 29.97PsF, 25PsF, 24PsF and 23.98PsF. 2. Switch the setting then press the F5 (SET) button. 3. Turn the unit off. The next time the unit is turned on, it will operate in the new mode. For some frequencies, you may need to have 23.976 Tri-level reference going into the deck. You may also have to have the pull-down card installed on the machine for some frequencies to work. Problem: Sony HDW-2000 shows "Data" on channels 3&4 when those channels are receiving M&E audio up the SDI spigot. Hold the 'home' botton while pushing the 'menu' F5 button. This part gets a little tricky and sometimes it doesn't actually work like this, but... Hold the home button and turn the control knob until 'burst' shows. Push set. 'Burst' should then turn to 'comp'. This should set it to receive Data for Dolby E. Do the reverse for audio. You may need to power cycle the deck. Duplicated frame when inserting onto an HDCAM tape with the SRW-5500; 1080i 59.94 timeline. No errors on the DS, no warnings on the SRW. The DS sync is green, the channel condition of the SRW is green. it's always a good idea to check your record-play offsets with a new machine or before a critical job in case something in your plant changed that would affect timings. Just make a basic and make a ten frame clip in DS with a countdown to identify each frame. Output to tape and jog through to see if everything is correct. Then bring it back in to DS to make sure that the input timing is also correct. Adjust your play/record offsets as needed. The most common way to make a bad basic is to have incorrect video/reference feeding the record machine. Sony technicians will claim that this is a problem in the Avid template. Setting the DS deck template to –1 corrects the problem. Unfortunately, the problem also exists on the Symphony, and there is no way to alter the play and record of the deck from a Symphony Insist that Sony install the latest firmware on the SR deck. The latest firmware should fix the problem, as documented at the CBC. Additional setting on deck: Menu setting A10 : TC Sense Sel needs to be set ‘LINE / 24F’. Sony technicians may ask you to check this menu setting and confirm that it was set to ‘FC / 30F’ which is wrong. A-10 is TC Sense and it is near the bottom of the VTR setup Menu. The choices are FC/30 or Line/24. Choose FC/30 to get 30frame code from a 23.98/24 source tape when adding pulldown on the FC output, this is the condition when a 30 frame offline used a 30 frame down convert of 23.98/24 frame material. If the offline was done as a 23.98 or 24 frame universal project then you should be able to use the 24 frame code. To use the 24 frame code set A-10 to line/24. Here's the tricky part. When in the FC/30 mode there is a one frame delay of the time code out the rs-422, to match the frame delay in the FC board.. When you output to the machine you must set the A-10 back to Line/24 otherwise there may be a black frame at the beginning or end of the edit because of the time code delay. Earlier HD decks had a seperate delay menu item along with the TC sense. The SR series combined the two menu items so beware. For users that are not sure what are they locking up to, SONY has 3 amber LEDs on top of the jog wheel. Check those and you'll find all the answers. There can be two reference inputs needed on the 5500 depending on the options you have. One reference will always be required to play the native format of the recorded tape. If you have the format converter option board, you will need a second sync source that matches the format you are expecting to convert to. You must have the HKSR 5003 board to play back 4:4:4 tape. It's about $11,000 USD from Sony. To convert 4:4:4 to 4:2:2 or cross-convert 1080 to 720 (in real-time during record or playback ) you need the HKSR 5001 format conversion board option installed as well. This 5001 is common option because the deck isn't very useful without it in the first place. But to play back 4:4:4 tape or convert a 4:4:4 tape into anything, you must have the HKSR 5003 option as well. This 5003 option is not a 'board' that plugs right in, it's actually about 6 small circuit boards that have to be added onto 3 of the existing boards in the deck. Editor's Note: It is fairly typical of Sony to sell VTRs and other equipment that is pretty much useless to your workflow, as their sales staff will tell you of the capabilities of Sony equipment with all of the options and happily sell you equipment that is as useful as a boat anchor in your facility until or unless you purchase highly-priced extra-cost options that allow the Sony equipment to really meet your needs. When purchasing equipment from Sony, you need to fully research the equipment and know more about it than Sony's sales staff does. Bait-and-switch seems to be normal practice for their sales staff. Problem:When laying off to SR 1080p 23.98 my audio appears to be outputting 2 frames early. Make sure that on the SR deck the timecode sense is at 24, not 30. If this is at 30, DS won't tell you it's wrong and output anyway, but you may end up with an offset. I did try the audio propagation delay and have found some interesting results. I set the delay to 2 frames just to see what would happen. The result was my audio and video in sync but both were two frames early, meaning by 01:00:00:00 card was coming up at 00:59:58:22. I have offset my sequence to compensate for this and my layoff is accurate, audio and video in sync. The fix here is to set an edit offset of 2 frames in the VTR Preset and then save that in the deck template for further use. This assumes you have the right sync you should feed both tri-level 23.98 and NTSC(locked together) to the deck, and have the ref set to External. This is a common cause for cadence and inaccuracy issues with timecode. When you are sending ANC closed captioning information in HD to the SRW-5500, you must set up the machine correctly. Currently (DS v 10.3) no Avid DS is able to preserve closed captioning for HD using either the Nitris or AJA. Symphony v4.x will handle ancillary data when running on Nitris DX. Additionally you have to set the deck to use the CC data instead of User Data: In the system menu, under META DATA there are three choices, "C.C." "USER" and "FILM" -- you must have "C.C." selected for Closed Caption to be the META DATA. Typical of Sony equipment, necessary items are "extra cost options." The format converter card is one. It is the only way you can output 4:2:2 video off of SR tapes and you need an optional 4:4:4 card to input and output 4:4:4 video. In the case of the former, There is a seperate output on the back of the deck labelled Format Converter Output that the 4:2:2 signal comes out of. The 5500 can be set record in 'plain' HDCAM as well as SR and use the 12 tracks of audio, where as the 5800 will not record the older HDCAM 3.1.1 format. The SRW 5800 is HDCam-SR only and will do 4:2:2 1080 59.94P as well as 720 59.94P. The SRW-5800 does 4:2:2 and even up to 1080p60. It can also playback dual 4:2:2 tapes (2 streams of 4:2:2 video recorder simultaneously such a Left eye/Right Eye) recorded on the SRW-1. The 5800 is RGB recording only. It has dual HDSDI support as standard but no HDSDI 422 input. No Pre-read function on the deck. No crossfade option when doing audio edits to tape. Cut only. No Varispeed tool (plus the pitch corrector). In true Sony fashion they have not made one deck that does it all instead they have made 2; The 5500 which is king of the 422 world with some of the 444 functionality of the 5800 and the 5800 which supports both 444 and 888 recording and playback for the purpose of slo-mo and 3D stereoscopic recording. So if you want it all you will need both. We thought Sony had taken leave of there senses when they made the 5800 nearly $30K USD cheaper than the 5500 but on a closer look we discovered why. A technician at Sony has verified "no pre capability, due to different head stacks from previous models..."
So, there will be certain formats that are unique to the 5800 that one will not be able to perform audio inserts to. Such as "HQ" and the "double stream." This machine was based on the DVCam 1500 deck (DVR1500). Plays HDV, DVCam, and DVSP. Has BNCs with HDSDI, SDSDI outputs also firewire. All BNCs with XLR connectors. It features color interpolation applied to the outputs. It has full 422 control and handles tape extremely well. You can direct clone to HDCam or Varicam with matching timecode. This is finally the pro deck we have been expecting. It does not have an HDSDI input. HDV is recorded through firewire. It is handy for dubbing Digital Beta to DV via SDI. It does not compare to the Miranda or Convergent boxes; this is a real deck. If the material was not shot in 5.1, it is a good idea to select mono to bring in each channel as an individual mono track so that you have more control on the timeline. Of course you'd have to set up the time line with 6 tracks and then patch the audio for the timeline for 6 tracks. If the footage was shot in 5.1 with the following layout (L,R,C,LFE,LS,RS - this is the layout DS works with), capture your footage as a 5.1 track rather than seperate mono tracks unless you have to make substantial changes to the audio in the DS. The reason for this is that if you are getting involved with a creative edit process you will have fewer tracks to mange as you edit. If you don't have 5.1 audio monitoring in your suite you could do a cheap folddown by choosing a stereo mixer and then for each 5.1 track in your timeline patch the left and right to the left and right output and the centre to both the left and right output. You will certainly need to output your completed timeline to a protools system (or whatever you use) so that you can get a proper folddown to stereo. You will probably need to test whether an OMF would work properly - if not allocate time for a track lay and export wav files of your individual tracks (make sure the mixer is set to 5.1 in it's default patching for this). If you can get 5.1 audio monitoring in the suite you can have a lot of fun with the audio panning effects around etc! Unless you have a engineer who insists that you don't do this - go into the "Set Up" menu, and access the submenu where you can assign menus to the PF (Programmable Function) softkeys. Set one of them to item K20 (IIRC) - that's the System Menu - where you can change the machine format. Saves you from having to find something small and pointy, and digging through four or five submenus. The procedure is similar for the SR decks... I usually set up the deck so that you've got the System Menu, Servo Ref, and downconvert functions on PF1+Alt or PF2+alt. Have You lost VCR Control? Have you been unable to establish VCR Control? Firstly, software and training versions of DS cannot control VCRs. So if you are on software only, you'll never get machine control. XP should automatically detect new hardware (removed com port) and offer to install it for you. If it doesn't then select "Add New Hardware" to force XP to find it.